The phrase that unequivocally resonates throughout the universe is "There's no such thing as a free lunch". 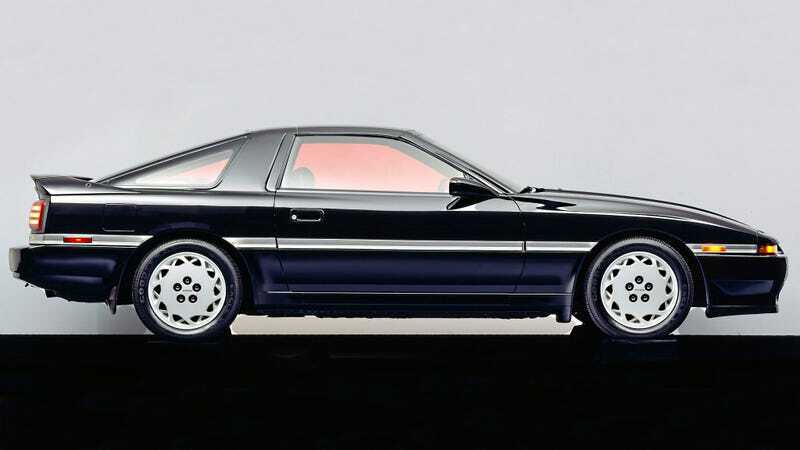 Unbeknownst to the rest of existence, there is one glaring exception to this rule: The Mark III Toyota Supra. However, it does have one major drawback, which I will kindly explain how to fix, for good. The Toyota Supra MK3 Turbo is a bit of an oddity. It's a well-constructed, good looking and great sounding Japanese rear-wheel drive sports coupe that has stellar handling and more than adequate power delivery in stock form. It's popular with the drift and drag racing crowds, yet they're still available dirt cheap, unlike its successor, the MKIV Supra, which was made famous by Fast and The Furious and that one guy at the car meet that did a wicked burnout and had the cops called on him. Its 3.0 liter 7M-GTE engine, with the help of a single CT-26 turbocharger, pumped out around 232 horsepower and 240 lb-ft of torque, which for the late 80s and early 90s, was plenty. With choice mods, the iron block and aluminum head of the over-engineered engine could withstand an output of more than 500 horsepower without changing any major internal components. It's a true performance bargain, for scrap prices. Check out what a decent fixer-upper Turbo is going for on eBay. It's seriously cheap. Ladies and gentlemen, this is what's known in the industry as a show-stopper. This is a blown head gasket, an all-too common problem with the Toyota Supra MK3 Turbo, and the reason why is not because it was made with inferior materials or designed improperly, it was due to a torque spec error from the factory. The head bolts, from the factory are tightened to a specific torque. That value was less than what the engine actually required, leading to a "when and not if" situation of head gasket failure, especially when the engine was boosted past its stock limits. When a head gasket fails, coolant can either mix with oil, or coolant can leak into the combustion chamber, causing white smoke to pour out of the exhaust. Neither one is good, but on this car, it's easily remedied. This isn't the best method of doing it, as the OEM bolts are designed to stretch when torqued and can only be used once, making their tensile strength, especially in an older car, questionable at best. This can certainly lower the likelihood of a blown head gasket, but it doesn't alleviate it completely, especially when you throw more boost into the mix. It's simply the cheapest alternative that will work only if your head gasket isn't already blown. Instead of using OEM Toyota stretch bolts, you can use aftermarket ARP head studs that can be reused and can handle greater stresses than the stock hardware can. While the procedure is largely the same as the one mentioned in Option 1, if your headgasket is blown, the cylinder head will need to be take off, assessed for any cracking or warping my a machine shop, and the gasket will have to be replaced. This also isn't a huge undertaking on this car and can be completed in a weekend by any backyard of shadetree mechanic with a set of tools from Harbor Freight. Here's the full tutorial by JSeaman of MK3Supra.org, which is very pic-heavy. Note that it also makes sense to replace your timing belt and water pump at the same time. There isn't any risk of damage to your engine, as the 7M-GTE is a non-interference engine and therefore can't destroy itself if you make mistakes with the timing. If you had this done at a shop without your headgasket being blown, you'd be looking at around $1000 in parts and labor, $2000 if you had a headgasket beforehnd. If you were to attempt it yourself (which you should), figure around $200-300 bucks in parts. What are you waiting for? Go find one now, while they're still dirt cheap and make it reliable and ungodly fast!